This product has reached end of life. Please contact our sales team for more information or replacement options. At a 4" below counter depth, the Honeywell StratosE is the most compact in- counter scanner on the market. 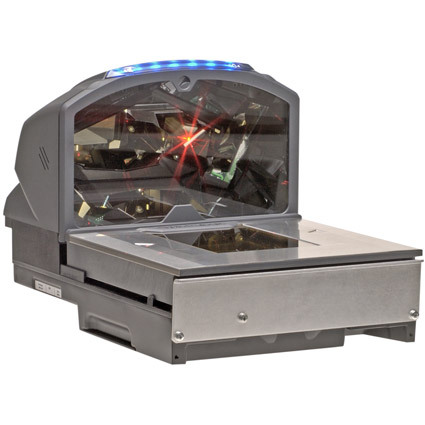 The two perpendicular scanners work together to provide 6-sided, 360° scanning, all but eliminating product realignment that you would get with single direction scanners. At 6000 scan lines per second, the Honeywell StratosE is aggressive and ready for your high-volume retail environment. Dimensions (W x D x H): 11.5" x 15.7" x 11"